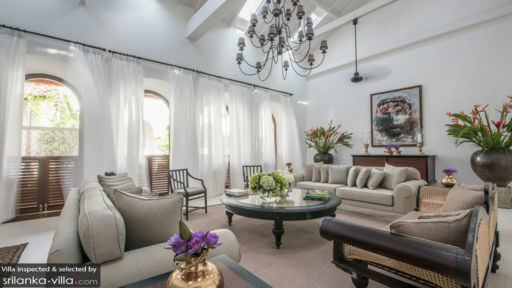 The Lighthouse Street villa by Taru is a gem in the Galle fort, beautifully restored and decorated, with top furniture and quality amenities. Big room and bathroom, quiet place, efficient wifi. Caring staff and excellent breakfast menu. 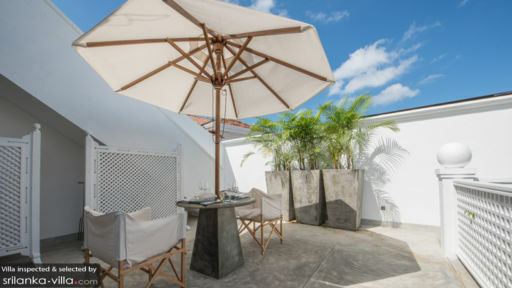 We stumbled upon the Taru Villas, Galle property while checking out one of their other properties in Bentota for our honeymoon...and what a stumbling upon it was! The colonial ambience blew us away... the owner and interior decorator, Nayantara Fonseka ('Taru') needs to be given due credit for that. The ambience not only ensures that you are comfortable but also feel like you are really living the colonial life. We couldn't have asked for more hospitable, friendly, accommodative and concerned staff. They did everything they could to make us feel comfortable. All in all, we felt like we at home and living with an extra bit of luxury. 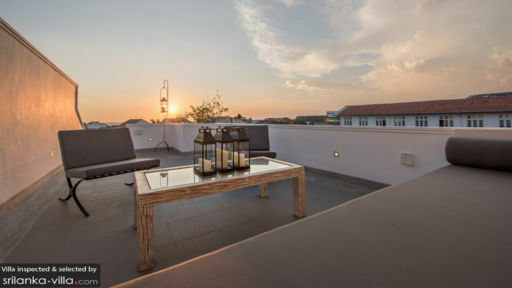 Given the great experience we had, my husband and I thought we should post a review for those travellers who are thinking of making a trip to Galle. So here goes... 1. Location - The villa is centrally located at Lighthouse Street, making all the 'must see' places readily accessible. We managed to walk all around the Fort area and come back to our hotel comfortably. We didn't find the need for a tuk tuk to go around the Fort area. 2. Hospitality - The staff were absolutely amazing...They ensured that we were always comfortable and tried to get us everything we needed. Not to mention, the entire staff was always smiling regardless of the time of day. Shelton, was especially mindful of our meal timings and ensured that we were happy with what we had ordered. When we arrived at the hotel after travelling the whole night, we were greeted with a delicious and refreshing lime and mint ice pop-sickle, and a cold towel in the lobby (extremely well decorated I might add). There was even an occasion when some food we ordered was not as per our taste and the staff sweetly heard us out and agreed to make us another dish. Not only did they do that but they so kindly offered us our dessert on the house, even though we asked for a replacement because of our personal preference. The most heart warming moment of our stay was when we were leaving, the villa manager, Weerakoon gifted us the root of a plant that I had my heart set on (so that we can plant it back in our home). 3. Room hygiene - Our room and bathroom could not have been cleaner. It was well maintained. 4. Food - The food at the villa was very good. But what needs special mention is the eggs Benedict with hollandaise sauce. It was made to perfection (which is really hard to do). Also, the home-made coconut ice cream is to die for. Kudos to Chef Janake! !